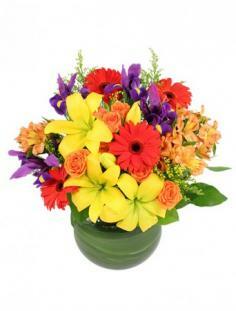 And when you’re ready to welcome back the sunshine and warmth, do it with some spring flowers. Let us warm up your home with springtime blooms, including daffodils, tulips, iris, or a basket of mixed spring flowers. 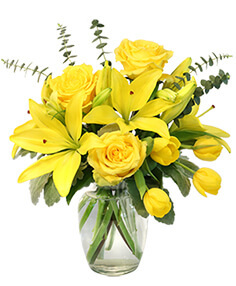 Treat yourself or someone else with the fancy-free feeling of spring flowers to shake away the winter blues. Nothing speaks more to the bright and cheery disposition of the summer season than bright and cheery summertime flowers. Nothing else can brighten up a room like sunflowers, golden-yellow daisies, princess-pink carnations or any other summertime favorite. Summer may be around for a few months, but you will find your best variety in the early months of the season. And what better way to celebrate the crisp fall months than with themed, elegant fall centerpieces. 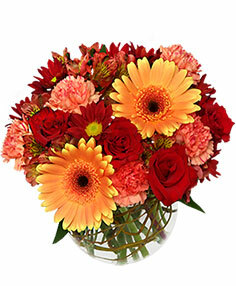 Create your own fall centerpiece or choose from the 10 different designs. We have access to a bevy of different flowers and blossoms to create your centerpiece. From lilies, yellow roses and gerberas, to sunflowers, carnations and all the accessories to put the finishing touch on your special centerpiece, you can enjoy every fall color you enjoy on clean Vermont autumn mornings. When the snowy, cold winter time roars in, you can mark the up and coming holidays with blues and whites. 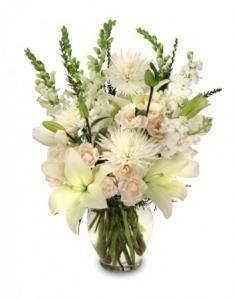 Typically during this time of year, we assemble floral centerpieces of white flowers, light blues, purples and pinks. Whether you want to create your own centerpiece or choose from one of Cole’s pretty creations, the options are endless. Namely, we’ll use such flowers as white Roses, lavender carnations and blue delphiniums, perfect for the holiday season.